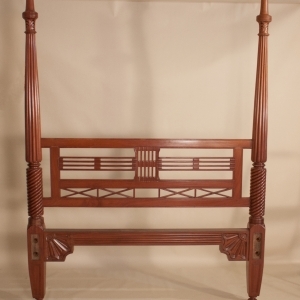 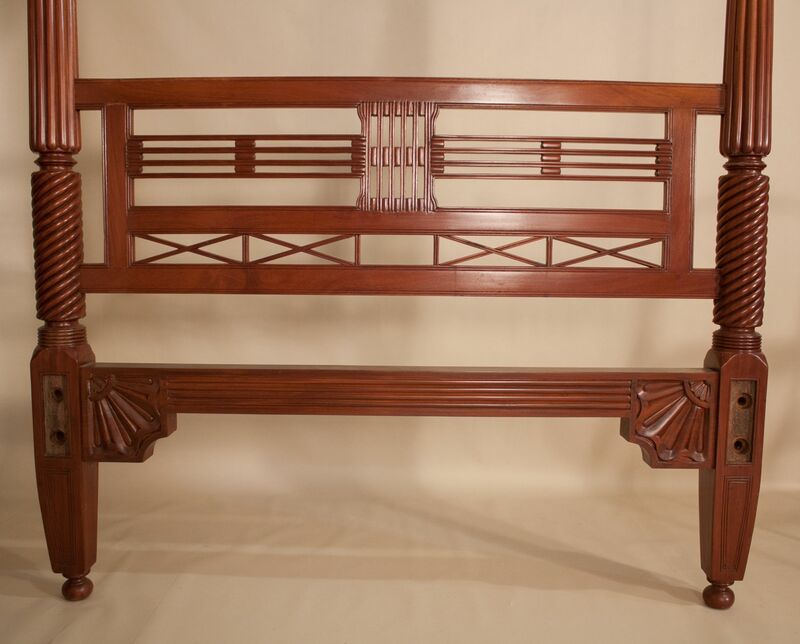 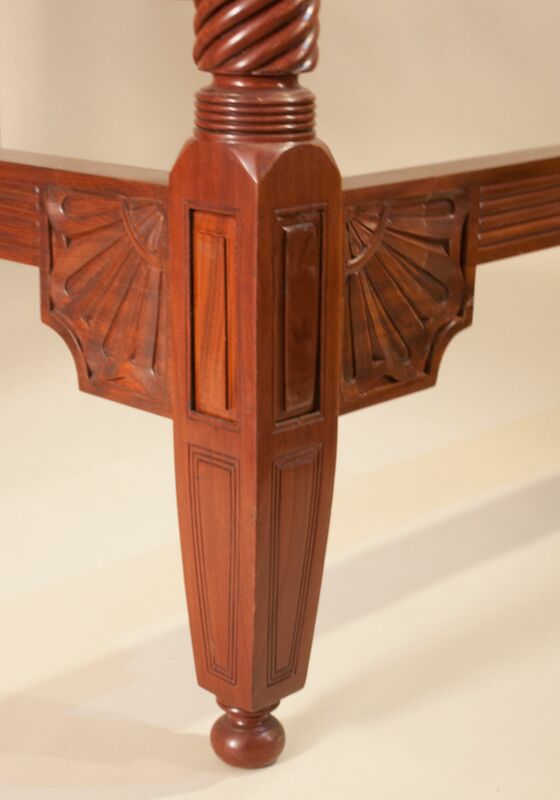 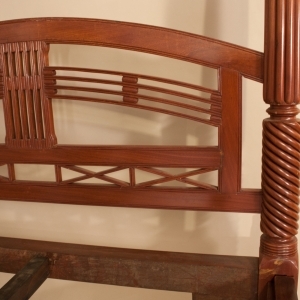 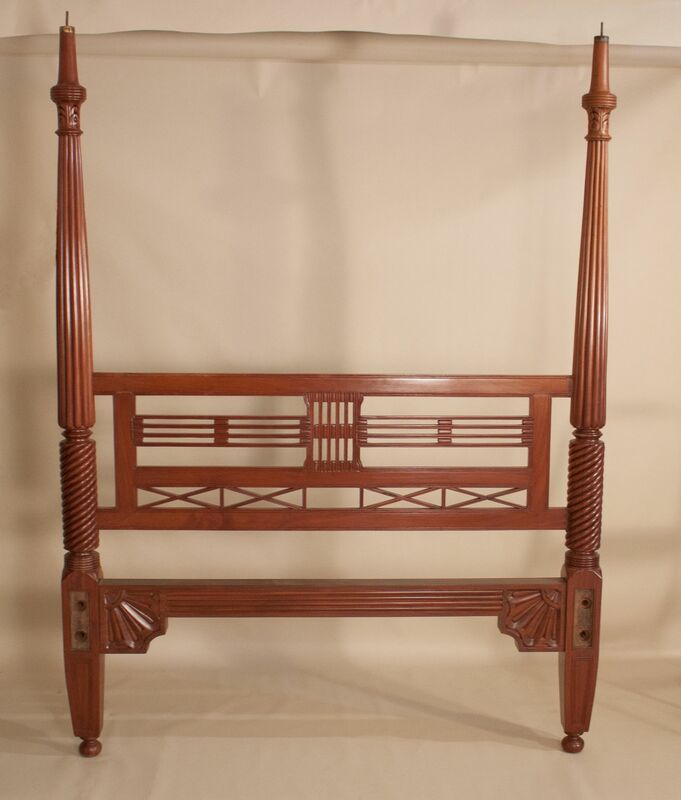 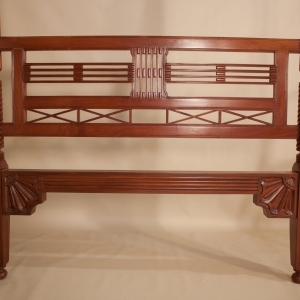 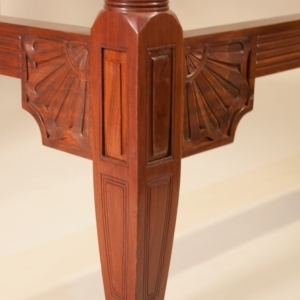 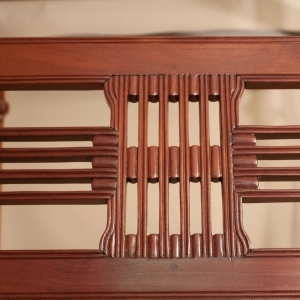 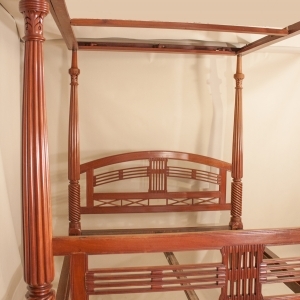 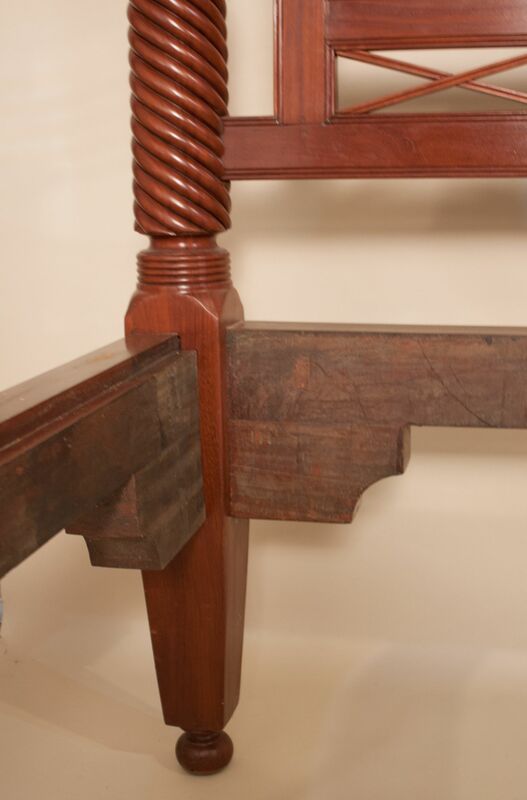 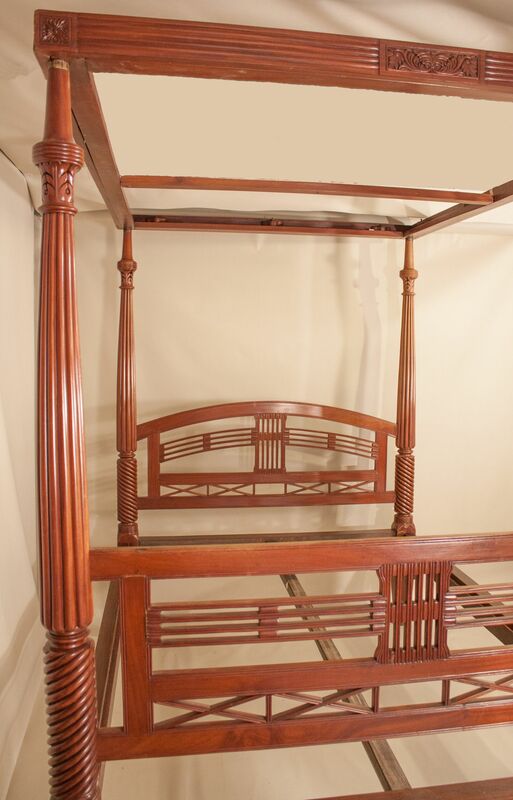 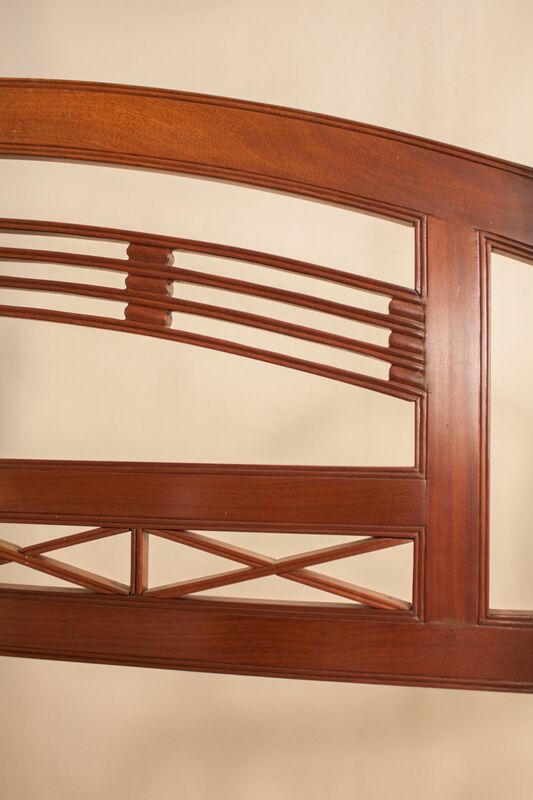 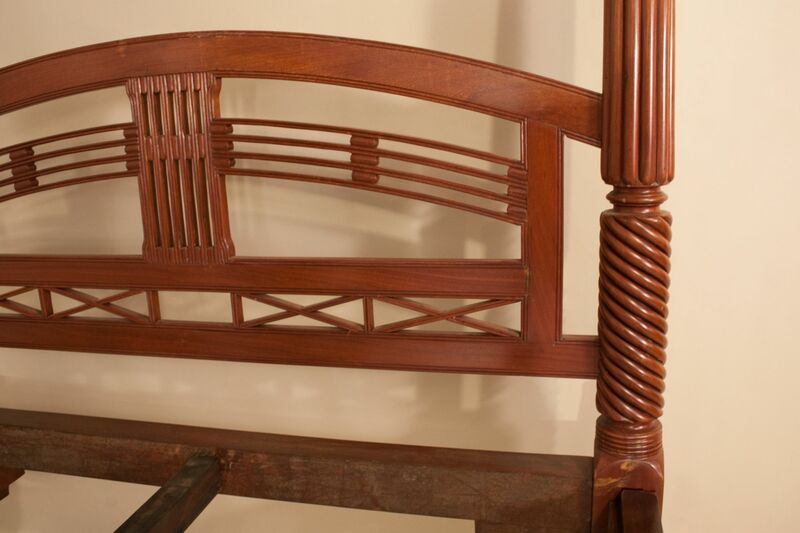 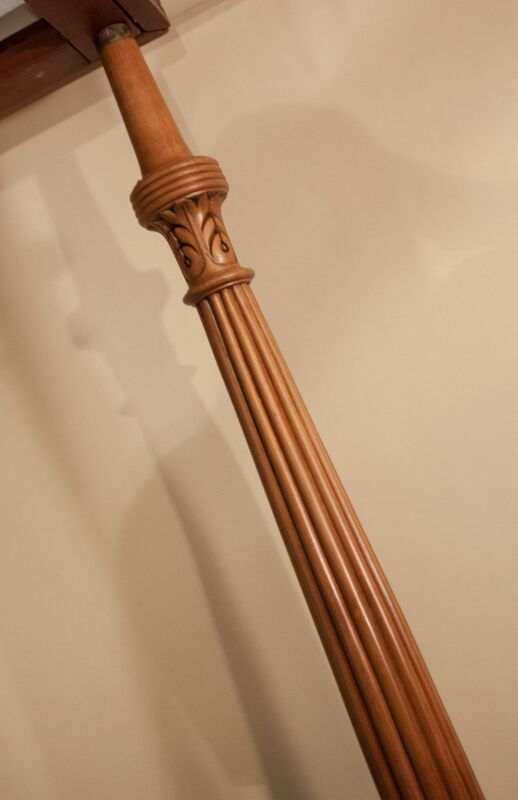 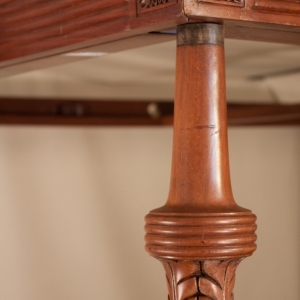 Carved mahogany four poster bed from British India, circa 1910. 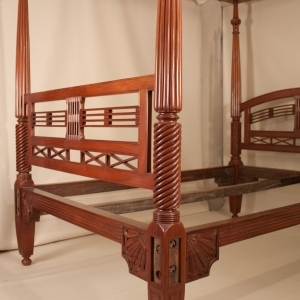 This queen-sized bed, which was restored at some point, has both beautiful wood tone and luster. 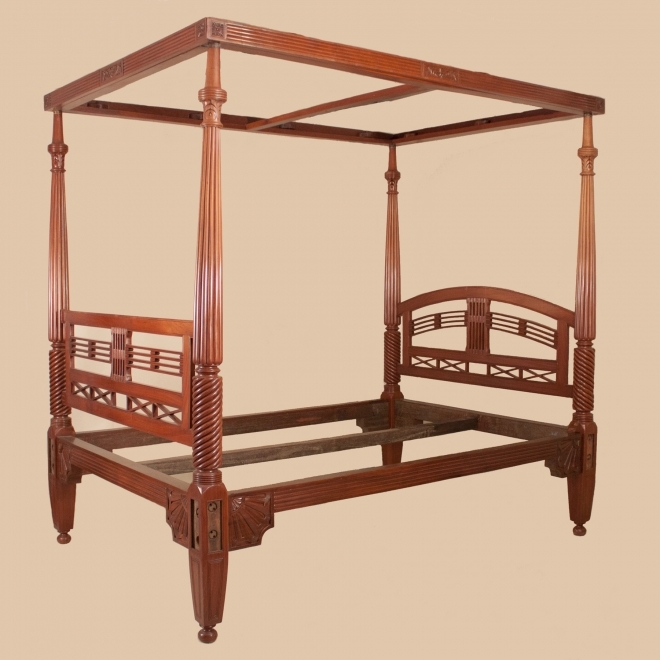 Its complete tester, or canopy, would have been used as a frame for mosquito netting. 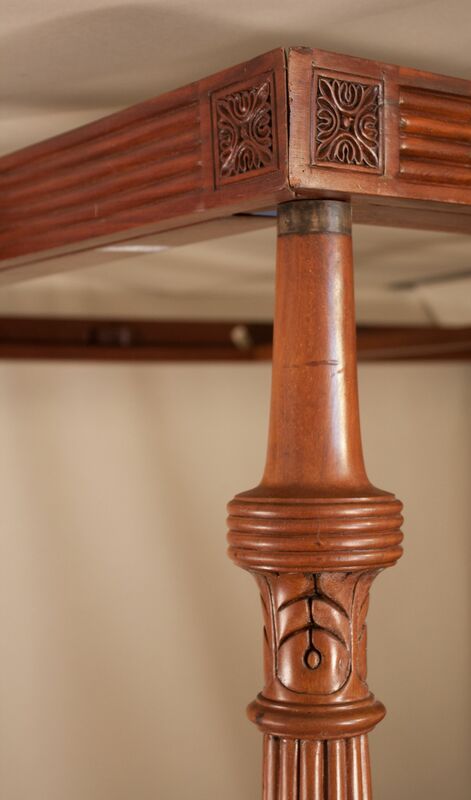 There is a hole in the center of the crosspiece where a lantern would have hung. 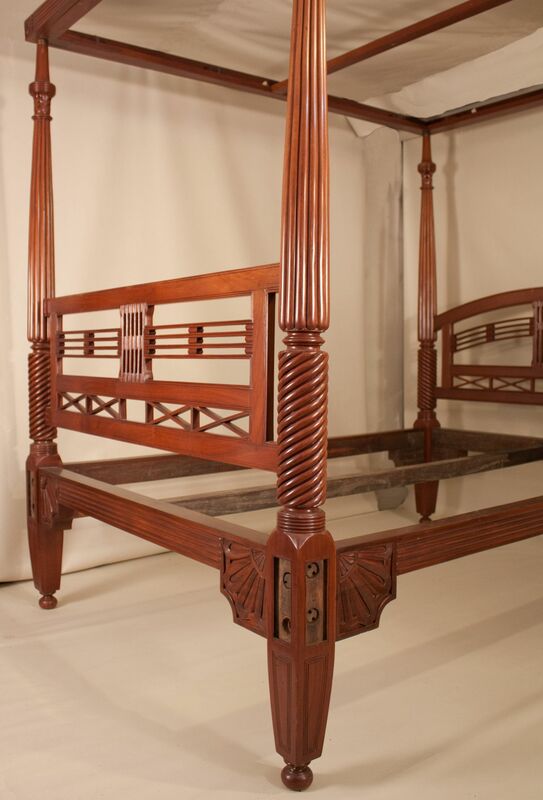 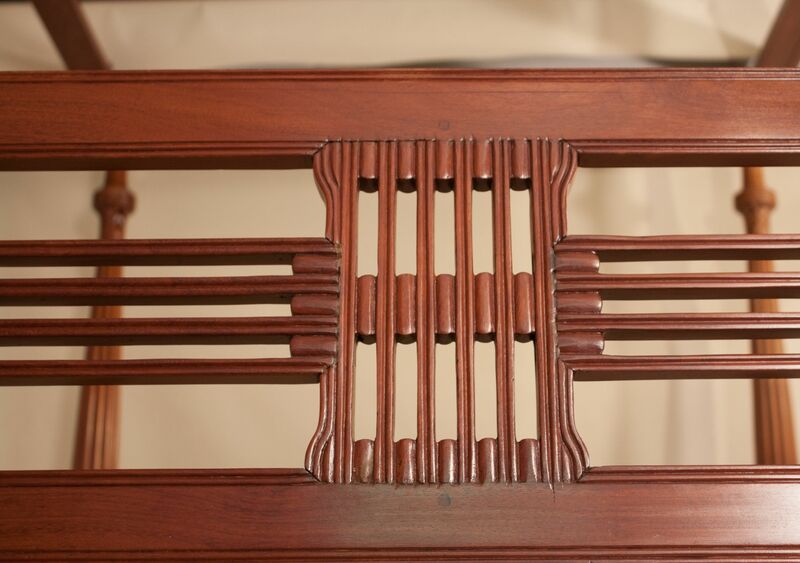 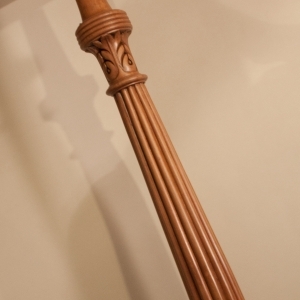 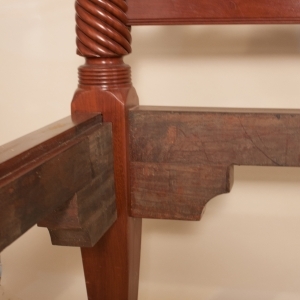 See image #11 for bed frame with finished bolt caps.